Microbiome-modulating interventions are promising for treatment and prevention of metabolic syndrome. The number of probiotic strains demonstrated ability to decrease cholesterol level in vivo, however, it was poorly confirmed in a clinical setting. The aim was to study the effects of L. acidophilus IMV B-7279, L. casei IMV B-7280, B. animalіs VKL and B. animalіs VKB separately and in various compositions on the level of serum cholesterol, gut microbiota contents and liver morphology on a high-calorie-induced obesity model in BALB/c mice. We used for the study female BALB/c mice 6–8 weeks old (18–24 g). Experimental animals were fed by a fat-enriched diet (FED), and 8 experimental groups were formed (12 mice in each group) to test strains of probiotic bacteria L. delbrueckii subsp. bulgaricus IMV B-7281, L. casei IMV B-7280, B. animalіs VKL and B. animalіs VKB and compositions. We used ultrasound for in vivo assessment of the liver and visceral (mesenteric) fat size. In the blood serum of the obese mice, the level of cholesterol was estimated. The liver morphology and gut microbiota of obese mice were studied. We revealed that after treatment with all of the studied probiotic bacteria and compositions of B. animalis VKL/B. animalis VKB/L. casei IMV B-7280, the weight of obese mice decreased, and cholesterol and its fraction levels in serum were reduced. The size of the liver slightly decreased after treatment with L. delbrueckii subsp. bulgaricus IMV B-7281, B. аnimalis VKB or probiotic compositions; we observed reduction of the mesenteric fat size after injection of all these probiotic bacteria (separately) and probiotic compositions. We defined the strain-dependent effects on serum lipid profiles, liver morphology and the gut microbiota. The B. animalis VKL/B. animalis VKB/L. casei IMV B-7280 composition effectively recovered the liver morphological structure of obese mice. The number of Lactobacillus spp., Bifidobacterium spp. and coliform bacteria increased, the number of staphylococci and streptococci reduced, and the number of microscopic fungi significantly decreased in the gut of obese mice after treatment with L. casei IMV B-7280, L. delbrueckii subsp. bulgaricus IMV B-7281, B. animalis (separately) or their compositions. L. casei IMV B-7280 (separately) and a composition of B. animalis VKL/B. animalis VKB/L. casei IMV B-7280 are effective at decreasing the weight of obese mice, decreasing cholesterol level, restoring the liver morphology and beneficially modulating the gut microbiome in high-calorie-induced obesity. The study was conducted with the support of the State Agency on Science, Innovations and Informatisation of Ukraine. RVB, M.D., Ph.D. is a researcher of the Inteferon Department of Zabolotny Institute of Microbiology and Virology, National Academy of Sciences of Ukraine and a medical doctor in the Clinical Hospital ‘Pheophania’ of the State Affairs Department, and National Representative of the European Association for Predictive, Preventive and Personalized Medicine (EPMA) in Ukraine. Professor LML, D.Sc., LPB Ph.D., VVM Ph.D., and OVN Ph.D. are researchers in the Inteferon Department of Zabolotny Institute of Microbiology and Virology, National Academy of Sciences of Ukraine. OMD Ph.D. is a medical doctor at JSC SPC ‘DiaprofMed’. Professor MYS, Ph.D., D.Sci. is a corresponding member of the National Academy of Sciences of Ukraine and the director of the Interferon Department of Zabolotny Institute of Microbiology and Virology, NAS of Ukraine. RVB suggested the idea and design of the study, participated in experiments, did the ultrasound survey, study analysis, prepared the discussion, formulated future outlooks, and performed the second and final article drafting. LML, LPB and VVM performed the experiments on animals and analysis of the study. LML and LPB prepared the first draft of the manuscript, did the literature analysis, interpreted the results, and performed the statistical analysis. OVN did the liver morphology study. OMD participated in analysis of the study. MYS did the organization, manuscript revision, data interpretation, and contributed to the overall development of the studied topic. WHO: Obesity and overweight: Fact sheet N. 311. http://www.who.int/mediacentre/factsheets/fs311/en/ Accessed 19 July 2017. Eckel RH, Grundy SM, Zimmet PZ. The metabolic syndrome. Lancet. 2010;375(9710):181–3. https://doi.org/10.1016/S0140-6736(09)61794-3. Srikanthan K, Feyh A, Visweshwar H, Shapiro JI, Sodhi K. Systematic review of metabolic syndrome biomarkers: a panel for early detection, management, and risk stratification in the west Virginian population. Int J Med Sci. 2016;13(1):25–38. https://doi.org/10.7150/ijms.13800. Ndumele CE, Nasir K, Conceiçao RD, Carvalho JAM, Blumenthal RS, Santos RD. Hepatic steatosis, obesity, and the metabolic syndrome are independently and additively associated with increased systemic inflammation. Arterioscler Thromb Vasc Biol. 2011;31(8):1927–32. https://doi.org/10.1161/ATVBAHA.111.228262. Swinburn BA, Sacks G, Hall KD, McPherson K, Finegood DT, et al. The global obesity pandemic: shaped by global drivers and local environments. Lancet. 2011;378(9793):804–14. https://doi.org/10.1016/S0140-6736(11)60813-1. Gortmaker SL, Swinburn BA, Levy D, Carter R, Mabry PL, Finegood DT, et al. Changing the future of obesity: science, policy, and action. Lancet. 2011;378(9793):838–47. https://doi.org/10.1016/S0140-6736(11)60815-5.
WHO “Cardiovascular Disease,” Fact sheet no. 317, WHO, Geneva, Switzerland, 2009, http://www.who.int/mediacentre/factsheets/fs317/en/print.html. Adachi S. Factors associated with metabolic syndrome that affect prognosis in heart failure patients. Circ J. 2016;80(3):596–7. https://doi.org/10.1253/circj.CJ-16-0053. Turnbaugh PJ, Bäckhed F, Fulton L, Gordon JI. Diet-induced obesity is linked to marked but reversible alterations in the mouse distal gut microbiome. Cell Host Microbe. 2008;3(4):213–23. https://doi.org/10.1016/j.chom.2008.02.015. Ley RE. Obesity and the human microbiome. Curr Opin Gastroenterol. 2010;26(1):5–11. https://doi.org/10.1097/MOG.0b013e328333d751. Tremaroli V, Bäckhed F. Functional interactions between the gut microbiota and host metabolism. Nature. 2012;489(7415):242–9. https://doi.org/10.1038/nature11552. David LA, Maurice CF, Carmody RN, Gootenberg DB, Button JE, Wolfe BE, et al. Diet rapidly and reproducibly alters the human gut microbiome. Nature. 2014 Jan 23;505(7484):559–63. https://doi.org/10.1038/nature12820. Bendali F, Kerdouche K, Hamma-Faradji S, Drider D. In vitro and in vivo cholesterol lowering ability of lactobacillus pentosus KF923750. Benefic Microbes. 2017;8(2):271–80. https://doi.org/10.3920/BM2016.0121. Kondo S, Kamei A, Xiao JZ, Iwatsuki K, Abe K. Bifidobacterium breve B-3 exerts metabolic syndrome-suppressing effects in the liver of diet-induced obese mice: a DNA microarray analysis. Benefic Microbes. 2013;3:247–51. https://doi.org/10.3920/BM2012.0019. Park DY, Ahn YT, Park SH, Huh CS, Yoo SR, Yu R, et al. Supplementation of lactobacillus curvatus HY7601 and lactobacillus plantarum KY1032 in diet-induced obese mice is associated with gut microbial changes and reduction in obesity. PLoS One. 2013;8(3):e59470. https://doi.org/10.1371/journal.pone.0059470. Huang Y, Wang J, Quan G, Wang X, Yang L, Zhong L. Lactobacillus acidophilus ATCC 4356 prevents atherosclerosis via inhibition of intestinalcholesterol absorption in apolipoprotein E-knockout mice. Appl Environ Microbiol. 2014;80(24):7496–504. https://doi.org/10.1128/AEM.02926-14. Wang LX, Liu K, Gao DW, Hao JK. Protective effects of two lactobacillus plantarum strains in hyperlipidemic mice. World J Gastroenterol. 2013;19(20):3150–6. https://doi.org/10.3748/wjg.v19.i20.3150. Wang BG, Xu HB, Wei H, Zeng ZL, Xu F. Oral administration of Bifidobacterim bifidum for modulating microflora, acid and bile resistance, and physiological indices in mice. Can J Microbiol. 2015;61(2):155–63. https://doi.org/10.1139/cjm-2014-0694. Kim SH, Huh CS, Choi ID, Jeong JW, Ku HK, Ra JH, et al. The anti-diabetic activity of Bifidobacterium lactis HY8101 in vitro and in vivo. J Appl Microbiol. 2014;117(3):834–45. https://doi.org/10.1111/jam.12573. Moya-Pérez A, Romo-Vaquero M, Tomás-Barberán F, Sanz Y, García-Conesa MT. Hepatic molecular responses to Bifidobacterium pseudocatenulatum CECT 7765 in a mouse model of diet-induced obesity. Nutr Metab Cardiovasc Dis. 2014;24(1):57–64. https://doi.org/10.1016/j.numecd.2013.04.011. Tian F, Chi F, Wang G, Liu X, Zhang Q, Chen Y, et al. Lactobacillus rhamnosus CCFM1107 treatment ameliorates alcohol-induced liver injury in amouse model of chronic alcohol feeding. J Microbiol. 2015;53(12):856–63. https://doi.org/10.1007/s12275-015-5239-5. Nido SA, Shituleni SA, Mengistu BM, Liu Y, Khan AZ, Gan F, et al. Effects of selenium-enriched Probiotics on lipid metabolism, Antioxidative status, Histopathological lesions, and related gene expression in mice fed a high-fat diet. Biol Trace Elem Res. 2016;171(2):399–409. https://doi.org/10.1007/s12011-015-0552-8. Song M, Park S, Lee H, Min B, Jung S, Park S, et al. Effect of lactobacillus acidophilus NS1 on plasma cholesterol levels in diet-induced obese mice. J Dairy Sci. 2015;98(3):1492–501. https://doi.org/10.3168/jds.2014-8586. Wu CC, Weng WL, Lai WL, Tsai HP, Liu WH, Lee MH, et al. Effect of lactobacillus plantarum strain K21 on high-fat diet-fed obese mice. Evid Based Complement Alternat Med. 2015;2015:391767. https://doi.org/10.1155/2015/391767. Qin N, Yang F, Li A, Prifti E, Chen Y, Shao L, et al. Alterations of the human gut microbiome in liver cirrhosis. Nature. 2014 Sep 4;513(7516):59–64. https://doi.org/10.1038/nature13568. Thomas H. NAFLD: a gut microbiome signature for advanced fibrosis diagnosis in NAFLD. Nat Rev Gastroenterol Hepatol. 2017;14(7):388. https://doi.org/10.1038/nrgastro.2017.67. WHO/FAO Scientific document. http://who.int/foodsafety/fs_management/en/probiotic_guidelines.pdf. Accessed 19 July 2017. Hill C, Guarner F, Reid G, Gibson GR, Merenstein DJ, Pot B, et al. Expert consensus document. The international scientific Association for Probiotics and Prebiotics consensus statement on the scope and appropriate use of the term probiotic. Nat Rev Gastroenterol Hepatol. 2014(8):506–14. https://doi.org/10.1038/nrgastro.2014.66. WGO Updates guidelines on probiotics and prebiotics http://www.worldgastroenterology.org/UserFiles/file/guidelines/Probiotics-and-prebiotics-English2017.pdf Accessed 28 June 2017. Sung V, Cabana MD, D’Amico F, Deshpande G, Dupont C, Indrio F, et al. Lactobacillus reuteri DSM17938 for managing infant colic: protocol for an individual participant data meta-analysis. BMJ Open. 2014;4(12):e006475. https://doi.org/10.1136/bmjopen-2014-006475. Reid G, Abrahamsson T, Bailey M, Bindels LB, Bubnov R, Ganguli K, et al. How do probiotics and prebiotics function at distant sites? Benef Microbes. 2017;8(4):521–533. https://doi.org/10.3920/BM2016.0222. The International Scientific Association for Probiotics and Prebiotics (ISAPP) Meeting Report. http://isappscience.org/annual-meeting-reports/ Accessed 19 July 2017. Reid G. Quo vadis – EFSA? Benefic Microbes. 2011;2(3):177–81. https://doi.org/10.3920/BM2011.0026. Hunter PM, Hegele RA. Functional foods and dietary supplements for the management of dyslipidaemia. Nat Rev Endocrinol. 2017;13(5):278–88. https://doi.org/10.1038/nrendo.2016.210. Kumar M, Nagpal R, Kumar R, et al. Cholesterol-lowering Probiotics as potential biotherapeutics for metabolic diseases. Exp Diabetes Res. 2012;2012:902917. https://doi.org/10.1155/2012/902917. Babenko LP, Sokolviak OY, Мokrozub VV, Nechypurenko OO, Demchenko OM, Bubnov RV, et al. Lactobacillus and Bifidobacterium probiotic strains reduce cholesterol levels and affect the gut microbiota in obese mice. United European Gastroenterol J. 2016;4(5S):A374–5. https://doi.org/10.1177/2050640616663689. Aronsson L, Huang Y, Parini P, Korach-André M, Håkansson J, Gustafsson JÅ, et al. Decreased fat storage by lactobacillus paracasei is associated with increased levels of angiopoietin-like 4 protein (ANGPTL4). PLoS One. 2010;5(9):e13087. https://doi.org/10.1371/journal.pone.0013087. Ma X, Hua J, Li Z. Probiotics improve high fat diet-induced hepatic steatosis and insulin resistance by increasing hepatic NKT cells. J Hepatol. 2008;49(5):821–30. https://doi.org/10.1016/j.jhep.2008.05.025. Guo Z, Liu XM, Zhang QX, Shen Z, Tian FW, Zhang H, et al. Influence of consumption of probiotics on the plasma lipid profile: a meta-analysis of randomised controlled trials. Nutr Metab Cardiovasc Dis. 2011;21(11):844–50. https://doi.org/10.1016/j.numecd.2011.04.008. Cho YA, Kim J. Effect of Probiotics on blood lipid concentrations: a meta-analysis of randomized controlled trials. Medicine (Baltimore). 2015;94(43):e1714. https://doi.org/10.1097/MD.0000000000001714. Ooi L-G, Liong M-T. Cholesterol-lowering effects of Probiotics and Prebiotics: a review of in vivo and in vitro findings. Int J Mol Sci. 2010;11(6):2499–522. https://doi.org/10.3390/ijms11062499. O’Toole PW, Marchesi JR, Hill C. Next-generation probiotics: the spectrum from probiotics to live biotherapeutics. Nat Microbiol. 2017;2:17057. https://doi.org/10.1038/nmicrobiol.2017.57. Xiao S, Zhao L. Gut microbiota-based translational biomarkers to prevent metabolic syndrome via nutritional modulation. FEMS Microbiol Ecol. 2014;87(2):303–14. https://doi.org/10.1111/1574-6941.12250. Monteiro R, Azevedo I. Chronic inflammation in obesity and the metabolic syndrome. Mediat Inflamm. 2010;2010. https://doi.org/10.1155/2010/289645. Liu R, Hong J, Xu X, Feng Q, Zhang D, Gu Y, et al. Gut microbiome and serum metabolome alterations in obesity and after weight-loss intervention. Nat Med. 2017;23(7):859–68. https://doi.org/10.1038/nm.4358. Arora T, Anastasovska J, Gibson G, Tuohy K, Sharma RK, Bell J, et al. Effect of Lactobacillus acidophilus NCDC 13 supplementation on the progression of obesity in diet-induced obese mice. Br J Nutr. 2012;108(8):1382–9. https://doi.org/10.1017/S0007114511006957. Arora T, Singh S, Sharma RK. Probiotics: interaction with gut microbiome and antiobesity potential. Nutrition. 2013;29(4):591–6. https://doi.org/10.1016/j.nut.2012.07.017. Lumeng CN. Innate immune activation in obesity. Mol Asp Med. 2013;34(1):12–29. https://doi.org/10.1016/j.mam.2012.10.002. Million M, Angelakis E, Paul M, Armougom F, Leibovici L, Raoult D. Comparative meta-analysis of the effect of lactobacillus species on weight gain in humans and animals. Microb Pathog. 2012;53(2):100–8. https://doi.org/10.1016/j.micpath.2012.05.007. Michael DR, Davies TS, Moss JWE, Calvente DL, Ramji DP, Marchesi JR, et al. The anti-cholesterolaemic effect of a consortium of probiotics: an acute study in C57BL/6J mice. Sci Rep. 2017 Jun 6;7(1):2883. https://doi.org/10.1038/s41598-017-02889-5. Bosch M, Fuentes MC, Audivert S, Bonachera MA, Peiró S, Cuñé J. Lactobacillus plantarum CECT 7527, 7528 and 7529: probiotic candidates to reduce cholesterol levels. J Sci Food Agric. 2014;94(4):803–9. https://doi.org/10.1002/jsfa.6467. Jones ML, Martoni CJ, Parent M, Prakash S. Cholesterol-lowering efficacy of a microencapsulated bile salt hydrolase-active lactobacillus reuteri NCIMB 30242 yoghurt formulation in hypercholesterolaemic adults. Br J Nutr. 2012;107(10):1505–13. https://doi.org/10.1017/S0007114511004703. Xue L, He J, Gao N, Lu X, Li M, Wu X, et al. Probiotics may delay the progression of NAFLD by restoring the gut microbiota structure and improving intestinal endotoxemia. Sci Rep. 2017;7:45176. https://doi.org/10.1038/srep45176. Duncan SH, Lobley GE, Holtrop G, Ince J, Johnstone AM, et al. Human colonic microbiota associated with diet, obesity and weight loss. Int J Obes. 2008;32(11):1720–4. https://doi.org/10.1038/ijo.2008.155. Zhao L. The gut microbiota and obesity: from correlation to causality. Nat Rev Microbiol. 2013;11(9):639–47. https://doi.org/10.1038/nrmicro3089. Wang J, Tang H, Zhang C, Zhao Y, Derrien M, Rocher E, et al. Modulation of gut microbiota during probiotic-mediated attenuation of metabolic syndrome in high fat diet-fed mice. ISME J. 2015;9(1):1–15. https://doi.org/10.1038/ismej.2014.99. Stenman LK, Burcelin R, Lahtinen S. Establishing a causal link between gut microbes, body weight gain and glucose metabolism in humans - towards treatment with probiotics. Benefic Microbes. 2016;7(1):11–22. https://doi.org/10.3920/BM2015.0069. Geurts L, Neyrinck AM, Delzenne NM, Knauf C, Cani PD. Gut microbiota controls adipose tissue expansion, gut barrier and glucose metabolism: novel insights into molecular targets and interventions using prebiotics. Benefic Microbes. 2014;5(1):3–17. https://doi.org/10.3920/BM2012.0065. Cani PD, Knauf C. How gut microbes talk to organs: the role of endocrine and nervous routes. Mol Metab. 2016;5(9):743–52. https://doi.org/10.1016/j.molmet.2016.05.011. Chen J, He X, Huang J. Diet effects in gut microbiome and obesity. J Food Sci. 2014;79(4):R442–51. https://doi.org/10.1111/1750-3841.12397. McPhee JB, Schertzer J. Immunometabolism of obesity and diabetes: microbiota link compartmentalized immunity in the gut to metabolic tissue inflammation. Clin Sci. 2015;129:1083–96. https://doi.org/10.1042/CS20150431. Fåk F, Bäckhed F. Lactobacillus reuteri prevents diet-induced obesity, but not atherosclerosis, in a strain dependent fashion in Apoe−/− mice. PLoS One. 2012;7(10):e46837. https://doi.org/10.1371/journal.pone.0046837. Konopelniuk VV, Goloborodko II, Ishchuk TV, Synelnyk TB, Ostapchenko LI, Spivak MY, et al. Efficacy of fenugreek-based bionanocomposite on renal dysfunction and endogenous intoxication in high-calorie diet-induced obesity rat model—comparative study. EPMA J. 2017. https://doi.org/10.1007/s13167-017-0098-2. Golubnitschaja O, Baban B, Boniolo G, Wang W, Bubnov R, Kapalla M, et al. Medicine in the early twenty-first century: paradigm and anticipation - EPMA position paper 2016. EPMA J. 2016;7:23. https://doi.org/10.1186/s13167-016-0072-4. Akhmetov I, Bubnov RV. Innovative payer engagement strategies: will the convergence lead to better value creation in personalized medicine? EPMA J. 2017;8:1. https://doi.org/10.1007/s13167-017-0078-6. Gilbert JA, Quinn RA, Debelius J, Xu ZZ, Morton J, Garg N, et al. Microbiome-wide association studies link dynamic microbial consortia to disease. Nature. 2016;535(7610):94–103. https://doi.org/10.1038/nature18850. Zmora N, Zeevi D, Korem T, Segal E, Elinav E. Taking it personally: personalized utilization of the human microbiome in health and disease. Cell Host Microbe. 2016;19(1):12–20. https://doi.org/10.1016/j.chom.2015.12.016. Arumugam M, Raes J, Pelletier E, Le Paslier D, Yamada T, Mende DR, et al. Genome-wide association analysis identifies variation in vitamin D receptor and other host factors influencing the gut microbiota. Nat Genet. 2016;48(11):1396–406. https://doi.org/10.1038/ng.3695. Bubnov R, Polivka J Jr, Zubor P, Koniczka K, Golubnitschaja O. Pre-metastatic niches in breast cancer: are they created by or prior to the tumour onset? “Flammer syndrome” relevance to address the question. EPMA J. 2017;8:141–57. https://doi.org/10.1007/s13167-017-0092-8. Most J, Goossens GH, Reijnders D, Canfora EE, Penders J, Blaak EE. Gut microbiota composition strongly correlates to peripheral insulin sensitivity in obese men but not in women. Benefic Microbes. 2017;16:1–6. https://doi.org/10.3920/BM2016.0189. Moloney RD, Desbonnet L, Clarke G, Dinan TG, Cryan JF. The microbiome: stress, health and disease. Mamm Genome. 2014;25(1–2):49–74. https://doi.org/10.1007/s00335-013-9488-5. Cerdá B, Pérez M, Pérez-Santiago JD, Tornero-Aguilera JF, González-Soltero R, Larrosa M. Gut microbiota modification: another piece in the puzzle of the benefits of physical exercise in health? Front Physiol. 2016;7:51. https://doi.org/10.3389/fphys.2016.00051. Moiseyenko Y, Sukhorukov V, Pyshnov G, Mankovska I, Rozova K, Miroshnychenko O, et al. Antarctica challenges the new horizons in predictive, preventive, personalized medicine: preliminary results and attractive hypothesis for multi-disciplinary prospective studies in the Ukrainian ‘Akademik Vernadsky’ station. EPMA J. 2016;7(1):11. https://doi.org/10.1186/s13167-016-0060-8. NY Dynamic Neuromuscular Rehabilitation & Physical Therapy Clinic. https://nydnrehab.com/ Accessed 19 July 2017. Ouwehand AC. A review of dose-responses of probiotics in human studies. Benefic Microbes. 2017;8(2):143–51. https://doi.org/10.3920/BM2016.0140. Heinsen FA, Fangmann D, Müller N, Schulte DM, Rühlemann MC, Türk K, et al. Beneficial effects of a dietary weight loss intervention on human gut microbiome diversity and metabolism are not sustained during weight maintenance. Obes Facts. 2016;9(6):379–91. https://doi.org/10.1159/000449506. Zhang C, Li S, Yang L, Huang P, Li W, Wang S, et al. Structural modulation of gut microbiota in life-long calorie-restricted mice. Nat Commun. 2013;4:2163. https://doi.org/10.1038/ncomms3163. Reid G, Gaudier E, Guarner F, Huffnagle GB, Macklaim JM, Munoz AM, et al. Walter J; international scientific Association for Probiotics and Prebiotics. Responders and non-responders to probiotic interventions: how can we improve the odds? Gut Microbes. 2010;1(3):200–4. https://doi.org/10.4161/gmic.1.3.12013. Cinti S. The Adipose Organ: Implications For Prevention And Treatment Of Obesity. In M.L. Frelut (Ed. ), The ECOG’s eBook on Child and Adolescent Obesity: 2015. Retrieved from http://ebook.ecog-obesity.eu/chapter-biology/adipose-organ-implications-prevention-treatment-obesity/?utm_source=text&utm_medium=article-link&utm_campaign=ebook-en Accessed 28 June 2017. Kim SJ, Park SH, Sin HS, Jang SH, Lee SW, Kim SY, Kwon B, Yu KY, Kim SY, Yang DK. Hypocholesterolemic effects of Probiotic mixture on diet-induced Hypercholesterolemic rats. Nutrients. 2017. https://doi.org/10.3390/nu9030293. Gibson GR, Hutkins R, Sanders ME, Prescott SL, Reimer RA, Salminen SJ, et al. Expert consensus document: the international scientific Association for Probiotics and Prebiotics (ISAPP) consensus statement on the definition and scope of prebiotics. Nat Rev Gastroenterol Hepatol. 2017. https://doi.org/10.1038/nrgastro.2017.75. Kobyliak N, Virchenko O, Falalyeyeva T, Kondro M, Beregova T, Bodnar P, et al. Cerium dioxide nanoparticles possess anti-inflammatory properties in the conditions of the obesity-associated NAFLD in rats. Biomed Pharmacother. 2017;90:608–14. https://doi.org/10.1016/j.biopha.2017.03.099. Yu I-T, Ju C-C, Lin J, Wu H-L, Yen H-T. Effects of probiotics and selenium combination on the immune and blood cholesterol concentration of pigs. J Anim Feed Sci. 2004;13(4):625–34. https://doi.org/10.22358/jafs/67630/2004. EFSA NDA. Panel (EFSA panel on dietetic products, nutrition and allergies), 2016. General scientific guidance for stakeholders on health claim applications. EFSA J. 2016;14(1):4367. https://doi.org/10.2903/j.efsa.2016.4367. Grech G, Zhan X, Yoo BC, Bubnov R, Hagan S, Danesi R, et al. 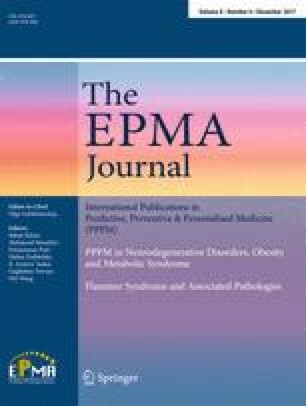 EPMA position paper in cancer: current overview and future perspectives. EPMA J. 2015;6(1):9. https://doi.org/10.1186/s13167-015-0030-6.